Adobe InDesign is an industry standard software programme that can help you create professional content such as brochures or print media. This InDesign course teaches you the features and processes utilised in the latest version of the software, Adobe CC (Creative Cloud). Over three sessions youll look at document layers, professional design guidelines, master pages, print and export preparation and more. The course is run completely online so you can choose where and when you want to study. 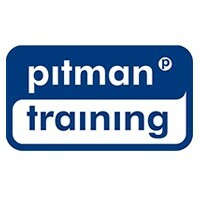 At the end of this course, you can be confident that you have the practical and hands-on skills required to impress employers and youll gain a Pitman Training certificate confirming your achievements.